Delightful 3BR/2BA home on picturesque spring fed Georges Lake w/ covered boathouse & lift being repaired after recent hurricane damage. The 1,656 sq. 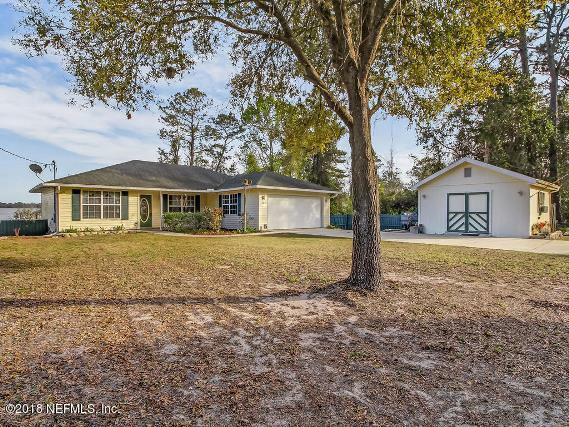 ft. home features vaulted ceiling, living/dining combo & a lovely Florida room w/knotty pine paneling overlooking and providing gorgeous panoramic views of the lake. The efficient kitchen features a brand new side-by-side refrigerator plus disposal, flat surface stove, closet pantry & adjacent utility room. The Florida room opens to a spacious deck. The home is protected by an alarm system, the yard includes an in-ground sprinkler system. This beautiful home is just waiting for a discerning new owner.